There are a lot of places where you can satisfy your sweet tooth. Filipinos who want a taste of home won’t have to look far thanks to these Pinay founded Fil-Am establishments. 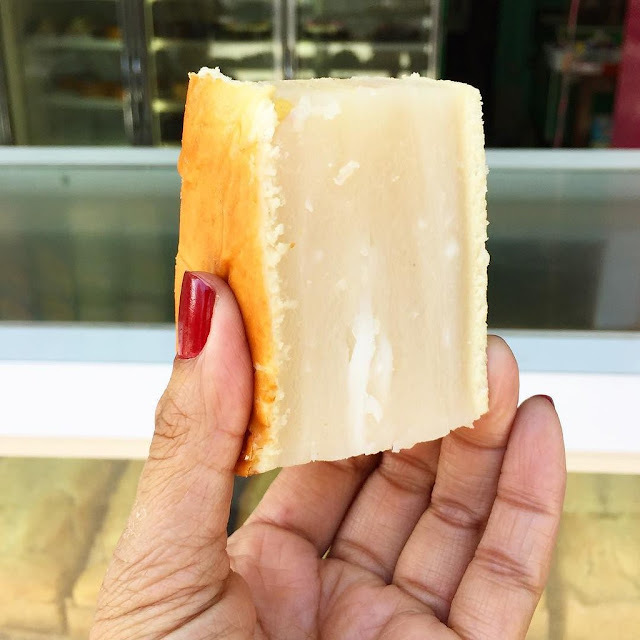 There are so many different flavors in the world but nothing beats the taste of uniquely Filipino desserts. They bring about memories of being back home in the Philippines where your mom, tita, or lola would make homemade delicacies. Once in a while you’ll crave that taste of home. If you’re in Cali and want to satisfy your Filipino taste buds, here are the 3 best places to get your Filipino Sweets. Dessert is an important part of any heavy meal. Barb Batiste, the owner, already had a career in the world of sweets and desserts before going into her business. You can get super yummy ube pan de sal pudding and halos (pressed donut sandwiches using magnolia ice cream). Her other business, Big Boi, has awesome breakfast items like ube waffles and turon pancakes. Cafés are the rage anywhere you go because people need to get their coffee fix. Karla Purificacion added buko pandan crinkles and baked turon rolls to the menu. Since then it has become a best seller along with their ube leche flan bundt cake and halo halo mousse. No doubt you’ll go in craving and exit completely satistfied. 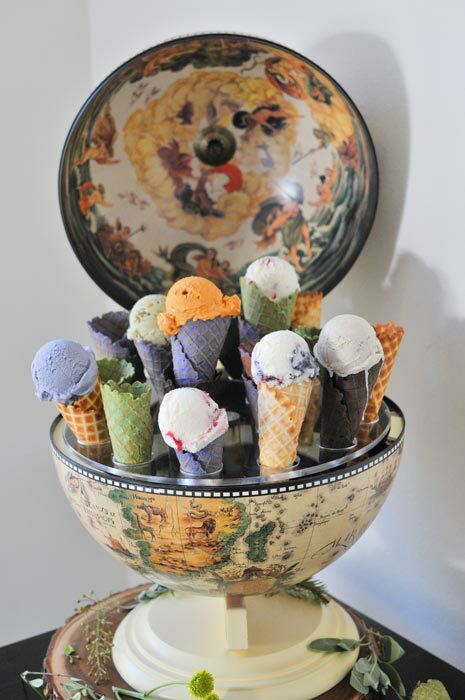 Artisanal ice cream shops are a dime a dozen, but nothing is as unique as Wanderlust Creamery. 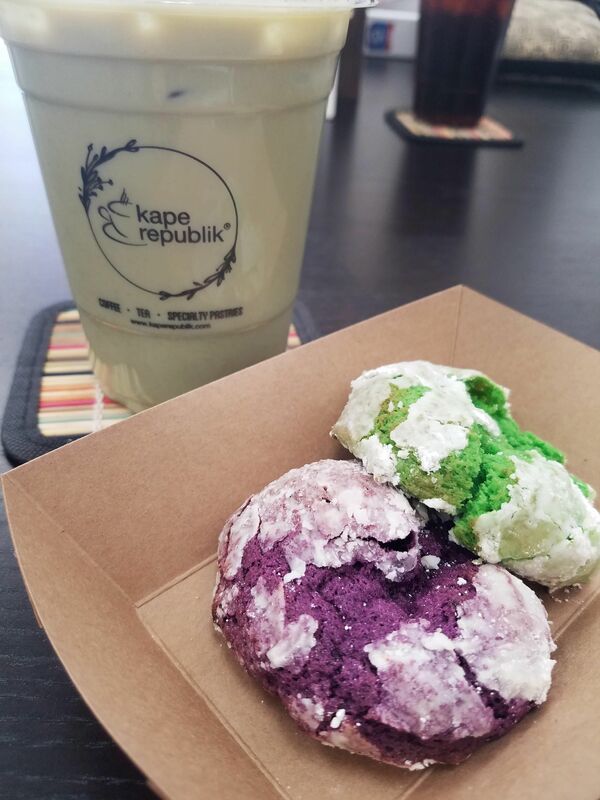 The Filipina co-founder, Adrienne Borlongan, added an ube malted crunch to their staple flavors in their three branch locations. For Fil-Am History Month, the store added more unique Filipino flavors like sans rival, sapin sapin, and salted duck egg among 12 flavors all in all. 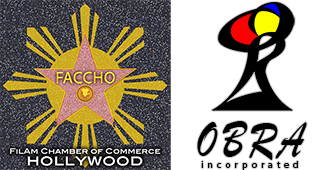 Now you can get the Filipino flavors your taste buds have been craving for right in the heart of California! Marvel is one of the most popular franchises and fandoms in the world. It has built many different heroes and stories for fans to enjoy. Filmmaker and comic book writer Greg Pak broke the good news on March 9 on Twitter. Whether it was a marketing ploy to announce it right after the release of "Captain Marvel," Pinoy fans all over the globe are glad to hear that the new Filipina Marvel superhero co will be part of the Marvel Universe. 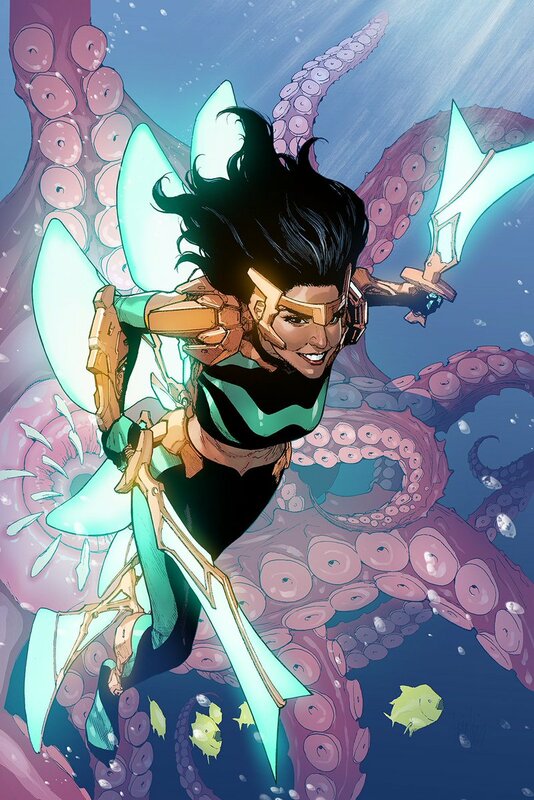 There isn't a lot of information on Wave and is only described as a "mysterious new Filipino heroine" by Marvel. Her features are distinctly Filipino as she has morena or tanned skin and jet black hair. she is dressed a green costume with gold armor and glowing green wings. She was designed and co-created by Filipino comic book artists Leinil Francis Yu. According to Yu, the character is a Cebuana who has an alter ego wittily named Pearl Pangan. It is reported that she will also be with a Chinese heroes named Sword Master and Aero. Her story will begin in "War Of The Realms: New Agents of Atlas #1." This new comic will be officially released in May 2019 and is also the first of four from the series. 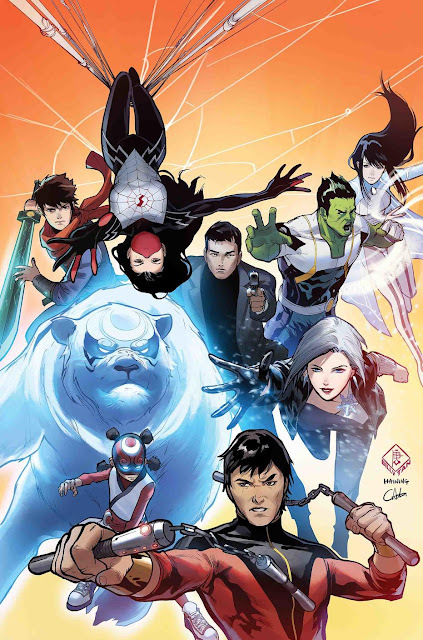 The story will be set in Asia and the New Agents of Atlas group will be led be Korean-American superhero Amadeus Cho ( also known as Brawn). Aside from Wave and Cho, other heroes will be joining in their team. The Chinese Kung-Fu master Shang-Chi, Korean-American heroine Silk and the SHIELD agent Jimmy Woo will be in "War Of Realms." The good news is that Wave will likely meet the more famous heroes from Marvel as the "War Of Realms" will involve heroes from "Avengers," "Wolverine," and so much more. What This Mean For The Filipino Community? The Filipino community will finally have a representative in the world famous Marvel franchise. Not only will she be fighting intergalactic crime, but she will serve as an icon and a good example to young Filipino kids as well. Hopefully the new Filipina Marvel superhero Wave and her creators share more of the Filipino culture through her story in the future. The food and the culture of Filipinos are getting recognition worldwide thanks to social media and those working hard in their chosen fields. The addition of Wave to the roster, as a creation of a Filipino artist, will definitely help people know more, or at least make people curious, about the Philippines and its rich culture. Filipinos and Marvel fans alike are looking forward to what adventures Wave will get into. It is a proud moment to see a representative of our culture making "waves" in the West as well.